Enter to Win a Kittyo! 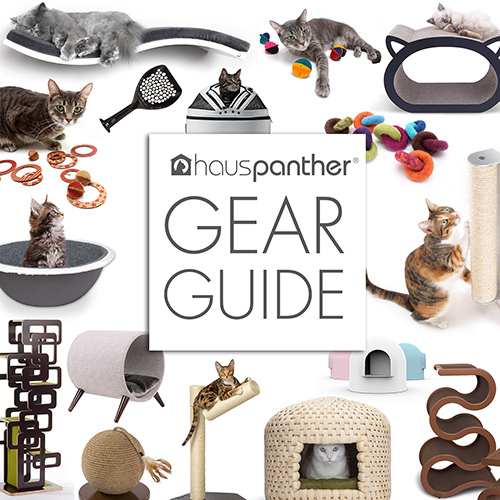 Here’s your chance to win the hottest new technology in the cat product world! It’s Kittyo, a revolutionary new product that lets you watch, speak to, play with, and record your cat when you’re away. You can even dispense treats! The winner of this week’s giveaway will receive one of the very first Kittyo units as soon as they are ready in fall of 2014. So if you win, you’ll have to wait a little bit for your prize, but it will be worth it! Operated by an app on any iOS or Android-enabled smartphone, Kittyo allows pet owners to keep an eye on and interact with their cats from anywhere. The device includes a video camera that lets you watch and record videos and still images of your cat, an audio speaker so you can talk to your cat while you’re away and activate sounds to attract kitty to the device, plus a laser toy and a treat dispenser that can both be activated remotely. It even clamps to the shelf or mounts to the wall so kitty can’t knock it over. I really can’t wait to get my hands on one of these! Kittyo will be launching a Kickstarter campaign this spring. You can stay connected to them and follow the progress by signing up for their email list when you enter the giveaway or by visiting the Kittyo website. You’ll be notified when the Kickstarter campaign launches and when final production of Kittyo is complete. To enter the weekly giveaway, please visit the Hauspanther Giveaway page and complete the entry form. The deadline to enter this week’s giveaway is midnight Pacific Time on Sunday, January 19, 2014. This giveaway is open to readers everywhere! I’ll pass on this one, but thank you for giving those who are interested the chance to win! Yes!! I am also on the Kickstarter waitlist…sounds like a great gadget, but a little concerned about the laser feature. I am sure they will design it so that it works safely and doesn’t operate randomly with any chance of hitting animals eyes, but am curious to see how they address that in the design. Good luck, Kittyo company! These are awesome! Can’t wait to get ours!